Sep 08, 2016 Hello- Thank you for the feedback. All LeafFilter installers are well-trained to provide the highest levels of customer service as well as a quality installation job. Leaffilter.com work good but installers are bone heads. Sales person was very nice(BIG SURPRISE HUH! ), installer was rude and got Belligerent with my wife when she would not sign the inspection sheet, she was sick and was not suppossed to leave the house, I told the sales person that when I purchased the system the installer needed to come when I was home, he did not. The installer did not put the end caps on and left big gaps in the ''filter''. So far it seems to work ok but it is after the leaves have fallen and we have not gotten much rain. Review #234618 is a subjective opinion of silverhorse347. I had the opposite experience. 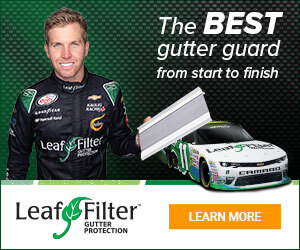 The Leaffilter installer was extremely nice and helpful. He showed up exactly when he said he would be there and did a great job. It was a great experience from start to finish. My brother-in-law also had Leaffilter installed in New Jersey and he had a great experience as well.